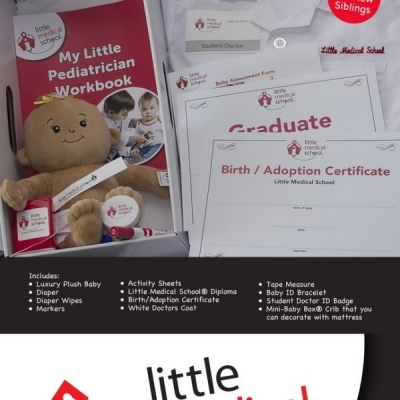 My Little Pediatrician Kit is a role playing, interactive toy that allows children to explore the world of healthcare through they eyes of a physician. The perfect product for an order siblings for a kiddo that is afraid of the doctor. Very cute an creative. Allows for learning and play. Great concept. Love the doctors coat with the package.